Last year, Falvey acquired the digital edition of the Papers of Thomas Jefferson from the University of Virginia Press. These papers are part of the American Founding Era Collection, which contains the papers of other noteworthy figures of the early republic. Falvey has recently acquired access to three more of these collections: the Adams Papers, the Papers of George Washington, and the Documentary History of the Ratification of the Constitution. 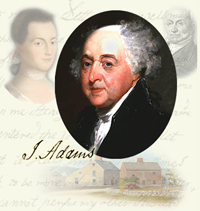 The Adams Papers Digital Edition brings together all volumes printed in the series to date, including John Adams’s complete diaries, selected legal papers, family correspondence, and state papers. The Papers of George Washington Digital Edition consists of electronic editions of all 59 volumes that have appeared in print thus far. 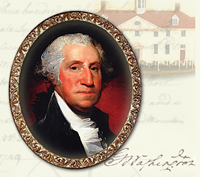 This collection includes the complete diaries as well as five series representing various stages of Washington’s life. All editions are annotated and allow users to switch between the hierarchical print volume arrangements and a chronological arrangement. In addition, all collections are cross-searchable. The search page allows users to refine their search in many useful ways. You can search the text within the content or the notes (or both, of course), search for names, set date range limits, and specify which collection or collections to search within. Please note, however, that while you can search all collections in the American Founding Era Collection, the library only has access to Jefferson, Adams, Washington, and the Ratification collections. For more details and tips about searching these collections, see the help page. The library also owns print editions of these works. 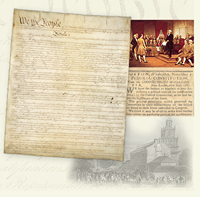 Check the catalog for the Adams Papers, the Papers of George Washington (Colonial Series, Revolutionary War Series, Confederation Series, Presidential Series, Retirement Series), and the Documentary History of the Ratification of the Constitution. If you have any questions or comments, please feel free to get in touch with us.